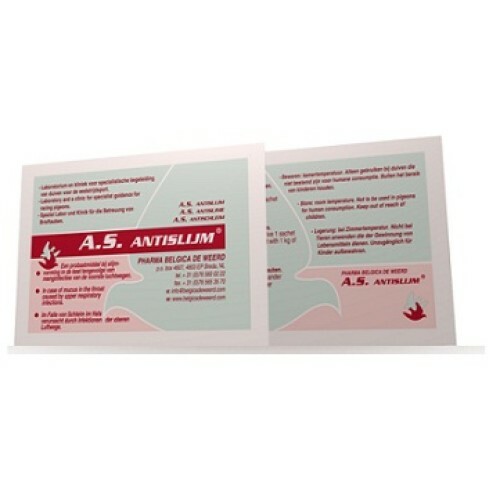 A.S. Antislijm by Belgica de Weerd in case of mucus in the throat caused by mucous membrane irritations, of the upper respiratory tract or the first part of the digestive tract in pigeons. 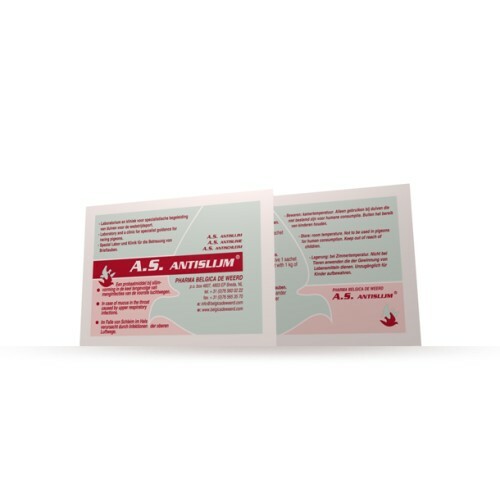 - Clear and clean the airways, favoring breathing. 3 days consecutive 1 sachet A.S. per 2 liters of water or 1 kg of grains.